The first thing that you need to do when you get hurt at work is to report the accident immediately. If you’re at your worksite, you should report it to your manager, supervisor, or human resources department. If you’re offsite, you may need to call the police or report it to one of the offsite managers or supervisors. 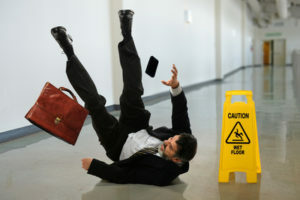 It’s very important that you document the fact that you got hurt at work as soon as possible so that the employer cannot claim that the injuries happened somewhere else. Then you need to tell your employer exactly what your injuries are so they can direct you to right medical treatment. After you report your injuries to your employer, they will need to inform their insurance company who will then file a First Report of Injury with the State of New Jersey. After that, the insurance company will contact you and attempt to obtain all of the necessary information about your accident and the injuries that you have obtained from the accident. The insurance company will have to determine whether or not you should be eligible for workers’ compensation benefits and if you are, you will have to only seek medical attention from the physicians that are provided by your insurance company. If you are out of work for more than 7 days, you may also be eligible to receive temporary disability benefits from the insurance company. The 7 days of work do not have to be sequential. Temporary disability benefits only account for about 70 percent of the wages that you have lost while you were not able to work. Once you are well enough to return to work, the insurance company needs to file a form called the Subsequent Report of Injury within 26 weeks of your return.